what’s flickr done lately? plenty! Flickr’s had an on-again, off-again relationship with photographers over the years. What started as a stand-alone cloud service that debuted in 2004 and catered to the professional market with a paid option, was pushed to the background after being acquired by Yahoo in 2005 right before the dot-com bubble popped. When Yahoo hired Marissa Mayer as CEO to shake up the troubled social-news-entertainment-search URL, she moved quickly to revamp the languishing asset, turning it into what it is today – a fully functional resource for all photographers that offers 1TB of free storage to every Flickr member. While there’s no shortage of free storage silos – from Apple to Google to Dropbox and more – Flickr’s got a lot more going for it than just online access. The latest round of upgrades features a fresh textual filter that allows selective image recognition filtering even if the image isn’t tagged with matching text. Your search term “red tomato” is recognized even if the red tomato isn’t tagged. Green wheelbarrow? Covered. And the returns are quick, no waiting in line. Earlier this year they debuted Camera Roll, a feature that automatically displays a user’s images chronologically that also packs a powerful search punch, while automatic grouping of images on upload is another tweak aimed at promoting greater utilization and engagement. Fresh mobile apps are also coming out, making the continued transformation from what began as a storage solution into a fully implemented social channel a reality that while it doesn’t pose a threat to Facebook operates perfectly within its own sphere of devotees. When a user takes the time and has the insight to implement the powerful metadata opportunities offered by the service, Flickr becomes a social media marketing superhero. By taking advantage of albums for event grouping, headline, location, description, and various other available tags, users turn visual content into easily searchable content that can stand alone as unique content or be cross-referenced to bolster online content elsewhere. 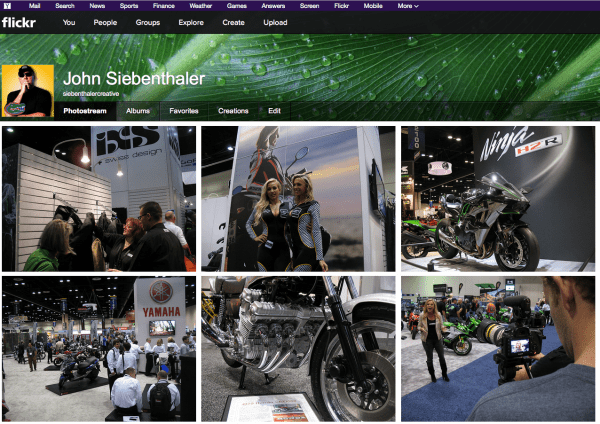 Power users like Josh Hallett’s hyku stream, with over 25,000 images online, illustrate how adept Flickr is at dealing with quantity. The Commons project is Flickr’s collection of free public domain imagery from the Library of Congress and other sources. Flickr can also filter Creative Commons licenses, including free to use with various restrictions. For me, Flickr is the perfect still companion to YouTube’s emphasis on video, and a solid addition to a well-rounded social media marketing strategy. This entry was posted in digital media, web and tech and tagged photography, search engine marketing, social media on May 8, 2015 by John Siebenthaler. need social visuals? hire a designer! I can say with full confidence that every list ever written promising content tips for improving your social media message, including blogs, Twitter, and Facebook, will demand a requirement for “great visuals”. It’s not a heavy lift to reach that fundamental conclusion. It’s the how that usually ends up badly, as simple lip-service from the aesthetically challenged judgement of faux authorities on what constitutes professional graphic design. But real guidance on achieving that lofty goal gets murky real fast. There’s very seldom a follow-up discussion on how compelling art is actually created, or how to make the subjective design judgements that are the essential DNA of an art director’s job description. It’s as if those great visuals so easily referenced as the mother’s milk of social media marketing are created with the wave of an intern’s magic kittens and string GIF wand, or by HR invoking a binding PNG spell, aided and abetted by Word’s draw extension. The reality? Effective art isn’t an off-the-shelf commodity. It’s specialized talent that knows there’s never, ever a time to use Comic Sans of the goal is to be taken seriously. Or that Bevel and Emboss with Texture, added to a logotype of sorts sourced from an obscure MS Office font, doesn’t so much sing gloriously about brand originality as it cries out in all to painfully obvious embarrassment to everyone but the creator. Your friends won’t tell you, but I will: ugly doesn’t improve with time. Within the context of social media, visuals are usually derived from photographs, illustrations, or a combination of the two. They can be used as is or modified, combined, or sampled and combined with type elements and shapes. This series of PRSA event promos I designed illustrates the point. Colors can be shifted, shapes and objects distorted. The best visuals are unique to their specific environment, not sloppily used warmed over leftovers. From social cover art and profile badges to press release supplements and web site assets, creative visual is not only desirable, but essential. 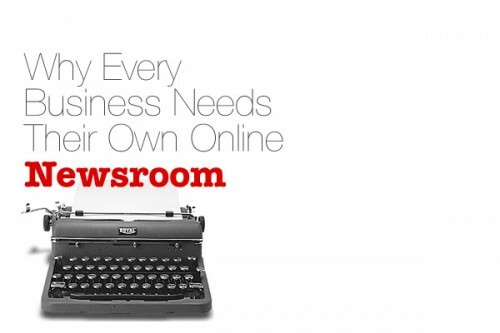 And where are the sources for that exceptional visual content everyone is looking for? Begin with a creative director for concepts and execution. Art directors turn an idea into a finished product using various visuals, distinctive styles, and element arrangements. Pick a copywriter for a well turned phrase or snappy tagline that can catapult a campaign. Graphic designers. Illustrators. Photographers. Typographers. All play a strategic role in creating effective content of value. So while everyone pretty much understands the role of visual content and what it brings to a message, greatness is achieved through actual talent and training, not just by proclaiming the task done and hoping for the best. This entry was posted in digital media, graphic design and tagged graphic design, search engine marketing, seo, social media on June 10, 2014 by John Siebenthaler. Understanding the various components that go into an effective Google strategy is daunting. 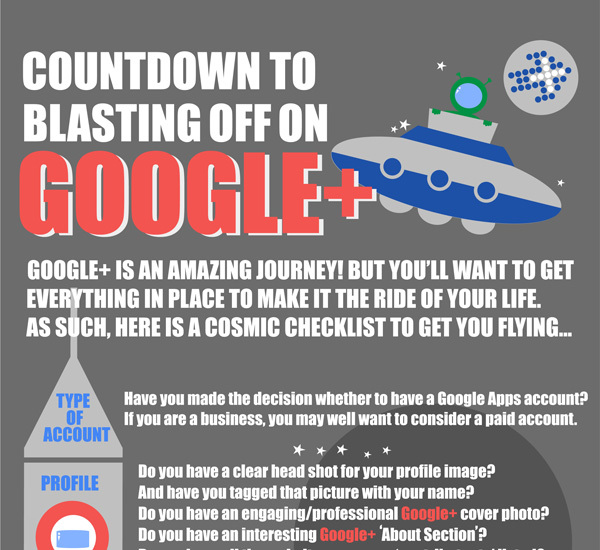 Get this Google+ infographic from Plus Your Business to understand the basics and learn how to achieve balance by optimizing Google+ products. This entry was posted in digital media and tagged google plus, internet marketing, sem on April 9, 2014 by John Siebenthaler. I wasn’t there at the very beginning but it didn’t take me long to jump on board! The Telegraph wants you to know what other first time Twitterers tweeted here. This entry was posted in digital media and tagged social media, twitter on March 21, 2014 by John Siebenthaler. Top Rank Online Marketing put together this handy Slideshare preso from top Social Media Marketing World 2014 presenters that’s full of tips and tricks to improve your social media campaign content and deployment. What I learned: use clicktotweet to add a direct link to your content page or post, just one of 38 useful ways to improve your content results. This entry was posted in digital media and tagged social content, social marketing, social media on March 10, 2014 by John Siebenthaler. Dawn had barely broken when the digital cognescetti began descinding on the registration desks outside the University of South Florida’s School of Business Administration for the daylong techno conference known as Barcamp. Dawn of the dead, more like it. Veterans of previous Barcamp events came prepared to deal with the Endless Donut Buffet lest the sugar blues overtake them halfway through a .js preso. Antidote: coffee pipeline direct injection. 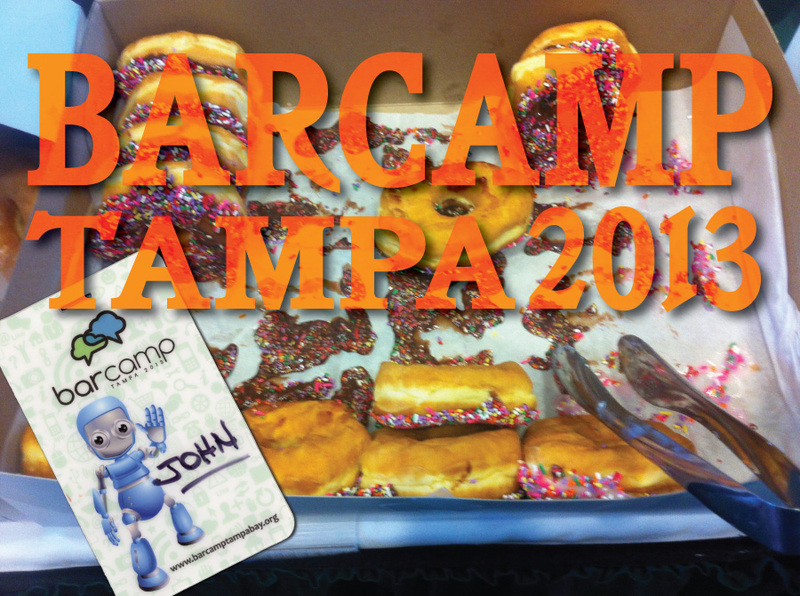 First timers – including a non-profit wondering where he might find technology mentors for the inner city youth he counseled – tried to interpret the deliberate disorganization that is the hallmark of Barcamp, with varying degrees of success. The 2013 edition, while perhaps not as feature rich as previous years, nonetheless offered nearly 800 attendees a broad and varied palette of back end, front end, and outside the lines content, much of it from an entrepreneurial perspective. Apps were big on the agenda this year, including the primo EXMO iOS/Android event scheduler. EXMO is one of those things that having used it once now seems like an essential for any multisession event, conference or seminar. Still in beta, the little app that could kept up with an on-the-fly schedule update that’s the hallmark of Barcamp, letting attendees focus on what was happening instead of where. It’s the digital solution to the sometimes frustrating analog scheduler Barcamp uses, a bulletin board and post-it notes for attendees to schedule and presenters to signup for sessions. This year there were some 15 tracks in hour-long chunks that began at 9 a.m. and ended at 5 p.m., in a nearly constant state of flux. That’s a lot of speakers to try and keep track of, and EXMO did a great job without the slightest hiccup, subject only to the 10-minute window needed for updating. Blogging seemed a popular topic this year. My first session was an introduction to SEOslides, a dandy WordPress plugin that, as the name implies, allows bloggers to create a presentation within WordPress that is SEO friendly for every page and which – bonus round – links directly to your blog. So take that Slideshare. Frame driven, this plugin is easily shareable and that’s a big plus when it comes to stats. A/B testing? Yep, and that’s just the beginning. It easily imports your PDF presentation, so authoring can be done with a variety of applications. Still in beta, and as might be imagined the free version comes with a few key features disabled. If presentations are a big part of your workflow, the annual buy in is $200 and comes with a ton of extras. I’m still not sure what quadcopters had to do with web tech, but if I didn’t know anything about them before I sure do now thanks to Greg Wilson, Adobe’s head of CC outreach. Greg rounded up a fleet – well, two – of these four-bladed oddities from DJI for a show and tell that included in the classroom hovering and an outdoor flight well above 800 feet. Fundamentals of flight, advantages for aerial photographers, and a look at the possibilities made for a fun session that makes owning one of these devices tempting indeed. By the time the last speaker in the last classroom turned out the lights, you could measure the knowledge dished out in tonnage. Barcamp is a rare altruistic opportunity to sample trends and techniques in the most informal of environments while allowing developers, site opperators, and anyone with a passion for digital and a viewpoint a forum to pitch their opinion. This entry was posted in digital media, events and tagged barcamp, seo, web on October 24, 2013 by John Siebenthaler. For the first time, social channels drove the broadcast, cable and print news cycles and were repeatedly sourced for content and tone. Big brands soared to the top of mainstream media reporting in February as a combination of unrelated events underscored the importance and immediacy of social engagement. 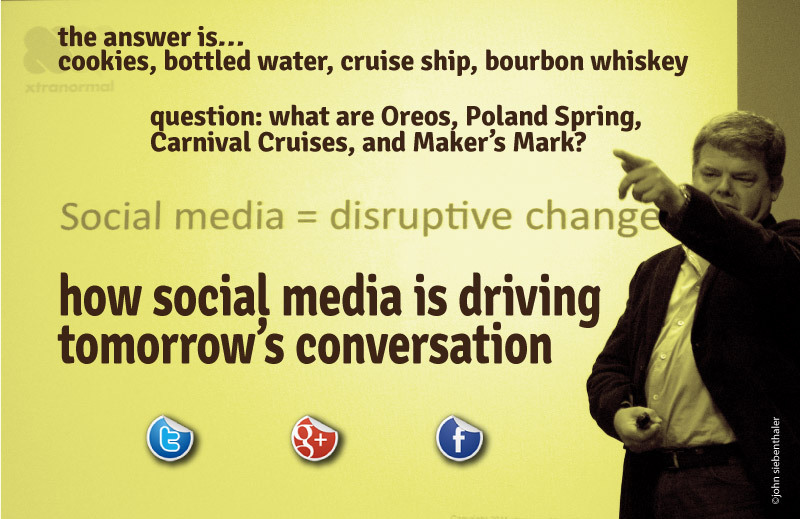 Consumer brands Oreo cookies and Maker’s Mark bourbon both got a thumbs up for their conversation handling. Oreo’s reaped a whirlwind of p.r. goodwill for their initiative during the Super Bowl partial blackout, while MM parent Beam quickly did an about face after announcing a change in the whiskey’s formulation. Those examples contrasted with Carnival Cruise’s headlines for a different reason, and who knew that President Barack Obama’s State of the Union address and the Republican response would offer a gold-plated opportunity to score huge headlines. Unfortunately, not everyone is up to the task of monitoring, let alone responding, to social media’s powerful audiences. Read more here. 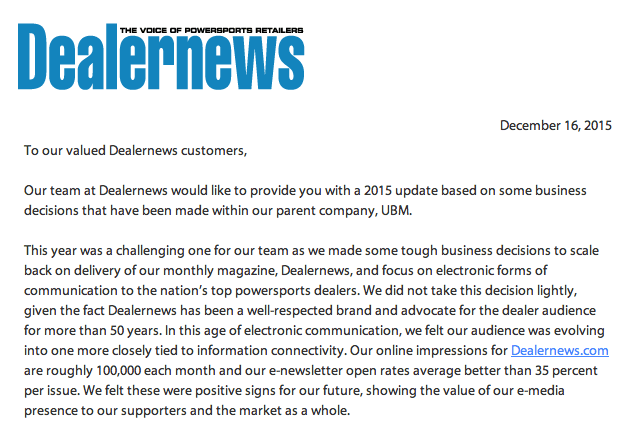 This entry was posted in digital media, public relations, web and tech on March 21, 2013 by John Siebenthaler.